The Maidenhead Waterways run through Maidenhead to the west of the River Thames. They include the five waterways shown on the map. 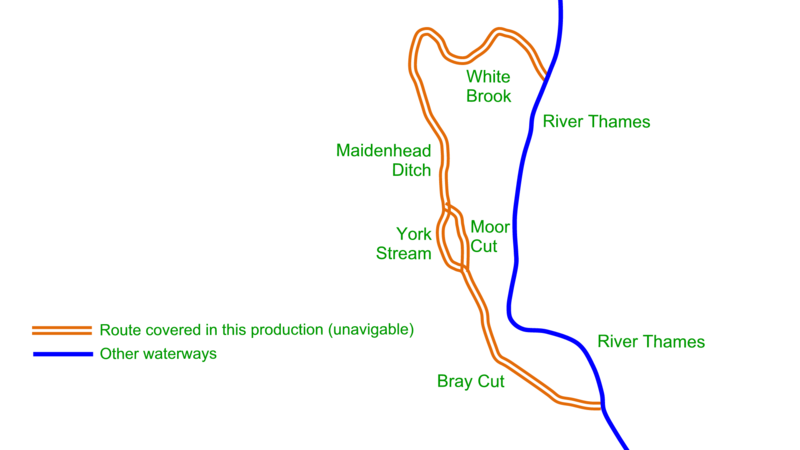 Map showing the route of the Maidenhead Waterways. You can make a virtual cruise (VC) along the part of these waterways from the comfort of your armchair. Just select your starting point below, then click the next buttons to move along the waterway. The very northern section of the Maidenhead Ditch and the White Brook aren’t yet covered by a virtual cruise.